October is filled with some great specials! The customer special for the month is great! You don’t want to miss out on it! For every $31 you spend you can purchase the Organizing Utility Tote for just $5*! That’s $17 in savings! Start Christmas shopping early and mark everyone off your list. The Organizing Utility Tote is great for any occasion. Use it for picnics, tailgating, cleaning supplies, diaper bag, scrapbooking, travel bag, and more. The uses for this bag are great! So remember, for every $31 you spend, the Organizing Utility Tote is $5*. Yes, you’re right, if you spend $62 you can get two at $5* a piece! There is no limit to how many you can purchase for $5. The Hostess Special is all warm and cozy, just in time for Fall! When you host a $450 show you can purchase the About Town Blanket or the Super Soft Blanket for $10*! They make great gifts or keep it for yourself! The About Town Blanket is perfect for those Fall football games or picnics. I have a few open dates for October, so if you are interested in hosting an October show email me as soon as you can. Don’t want to clean house and fix some treats? Carry a catalog around for a week or so and take advantage of the same great deals of a home party! I wanted my customers to be aware that there is currently a Stop-Sell on all Skirt Purses, Skirts, City Walk Skirt Purses, and City Walk Skirts. There have been some complaints from another company about these products interfering with their patent and Thirty-One Gifts is trying hard to take care of this matter in the quickest, most professional way. We are hoping to have things under wraps in time for orders to still be submitted for Chirstmas, since these are some of our most popular items. In the next few days I will be posting some alternatives to the skirt purse, as well as some awesome gift sets that will make Christmas shopping a breeze! Thank you all for being such faithful customers! It’s back to school time! 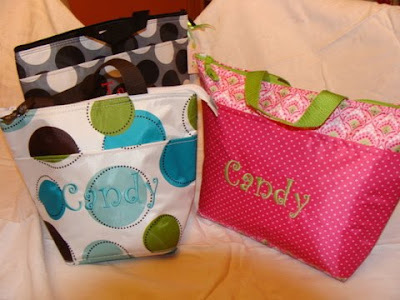 Check out Thirty-One for some new, neat teacher gift ideas! The Little-Carry All Caddy makes a great gift as well as the thermal lunch totes! Give your teacher a gift she can use throughout the year! Cookout, sports equipment, grocery shopping, camping, beach, toys, poolside, traveling…what do all these things have in common? Our Large Utility Tote is PERFECT for everything listed above and MORE! Going to a cookout? With plenty of room to hold several size containers, a vinyl liner, and sturdy frame and handles, this tote is great to carry things to and from. You can pack it full and carry everything in one trip from the car with an extra hand to carry something else. Sports equipment rolling around in the backseat or trunk of your car? Not anymore! The perfect size to hold all things sports! Gloves, knee pads, balls, cleats, sweat bands, water bottles and more, you won’t hear it rolling around anymore! With great patterns and colors and awesome embroidery options you can carry all your or your kiddos things to and from the field in style! Grocery shopping has never been easier with the large utility tote. Be eco-friendly and save bags by packing all the lightweight things in your tote! Think crackers, fruit snacks, chips…everything lightweight (to make carrying easier). Less bags used means less trips to the car and back into the house. I’ll be honest… 100 degree weather in Tennessee right now- 2 trips in and out is NOT an option for me right now! Go camping in style! Store all your laundry and detergents in one unique place and make carrying to the laundry easier. Also great for storing towels, blankets, bug sprays and snacks when going visiting with friends at other campgrounds along the trail. Summer is almost over, but there is always next year! Carry your towels, sunscreen, beach toys, and snacks in one big tote, making picking up a breeze when you’re ready to head in after a long day in the sun! Since our utility totes are made out of vinyl, anything spills on them can be easily wiped out and sand just brushes right off! This product is by far my favorite beach/lake product! Great for trips to the pool as well! Toys in the car, living room, or bedrooms? Give them a cool home that easily moved from one room to the other. Colors to match almost any room in the house, you can store little ones things in style! Traveling just got easier with the utility tote! Accidents and spilled juice are sometimes inevitable with little ones. Pack a change of clothes inside the tote. Store snacks inside and slide the picnic thermal tote down inside as well to keep cool juice boxes close! Toys, coloring books, and crayons fit perfectly in there, along with a blanket and small pillow. Throw in a few DVD’s or CD’s and you are on your way to a road trip! Keeping everything in one place keeps things from being thrown all over your car! Making cleaning up when arriving to your destination much easier! If you haven’t purchased a Large Utility Tote, I want to encourage you to do so. It is one of our most handy totes and the many uses for it will make your life much more organized and easier! I took every member of the Facebook page, plus those that had visited the blog and 'followed' as well those that Tweeted or said something in their Facebook status, and typed everyone's name out on a spreadsheet. Those that had multiple entries, your name was randomly put on the sheet as many times as entries you had. I then used random.org to pick our winner! Keep watching the blog for more giveaways! I love free stuff. In fact, I love free so much, that I'm going to give something away for free! I haven't decided what, yet...but it will be good. I promise! All you have to do is follow the blog. Click 'Follow' on the sidebar. I personally don't think that one entry is enough, so do the following to earn extra entries! Twitter is Love31Gifts, so make sure you use @Love31Gifts in your tweet! You have until Sunday night to get your entries in! The small basket is approximately 10”L x 16.5”h x 6”d and the medium basket measures approximately 12”l x 20”h x 7.5”d. Both sizes are great for anything and everything. Right now, my medium basket is sitting next to my front door with my most worn flip-flops and an umbrella. There is a small basket next to my bed with a few magazines and books. There are times when my decorating side kicks in and I change things up a bit. Both of the baskets are perfect in the bathroom! 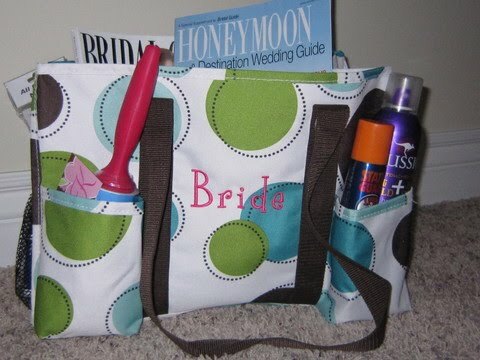 That’s right, Thirty-One is even looks good in the bathroom! In the small basket, two extra rolls of toilet paper fit perfectly on either side of the handle, and magazines slide perfectly in the basket, making it a stylish storage space. Roll up your towels and arrange them neatly in the medium basket to display them in a corner, making it an easy grab for guests. Use the medium basket for organizing all those gift bags, bows and ribbons you have. Ribbon spools slide onto the handle and stay there. No more rolling around and getting smashed! My biggest problem with buying spools of ribbon, is that they always ended up crumpled. Not anymore! The spools fit perfectly on the handles and make pulling the ribbon off a breeze. Gift bags, tissue paper, and gift tags fit perfectly in the basket, making everything you need within reach. You can even stand up rolls of wrapping paper in there! The small basket will make a great home in baby’s room. 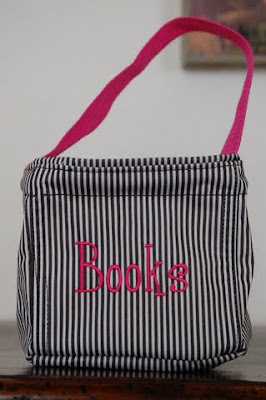 Use it in a corner to hold books, blocks, stuffed animals and more. You can also use it for storing diapers, wipes, and baby powder next to the changing table. Of course, if your little one is crawling or walking now, wipes and baby powder on the floor might not be a great idea J Perfect for holding little shoes and socks, as well! Use the large basket next to the couch. Roll up your favorite blanket and stock a few magazines and books for some relaxing time before bed. You can also toss those annoying remotes out of sight when company comes! As always, if you have more organizing tips with our Small and Medium Magazine Basket, leave a comment below and share! Welcome to 'Everything Thirty-One' If you have never heard of Thirty-One Gifts before, I promise you will fall in love by the time you leave this blog! 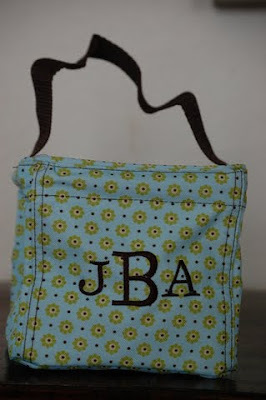 We have a wonderful line of monogrammed purses, totes, lunchboxes, and duffel bags, as well as home decor and candles. 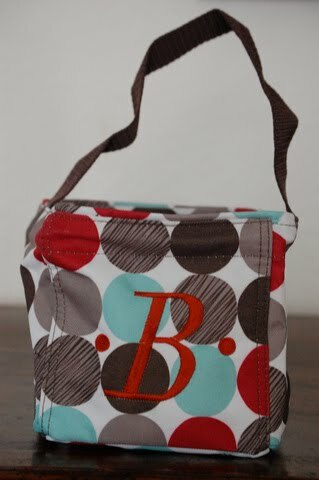 Thirty-One just recently debuted their new kid line full of great gifts for a Mommy-to-be, baby, or toddler. If you have any questions, please feel free to email me at: Emily.Thirtyonegifts@gmail.com Happy Shopping!